Rod Campbell has been making children’s books for over 30 years. Best known for Dear Zoo, he is also the creator of the popular pre-school character Buster. Ingeniously simple, with touches of gentle humour, Rod’s books are loved all over the world by children, parents and teachers alike. 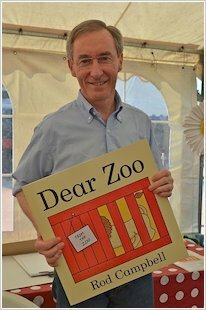 Dear Zoo celebrated its 30th anniversary in 2012.